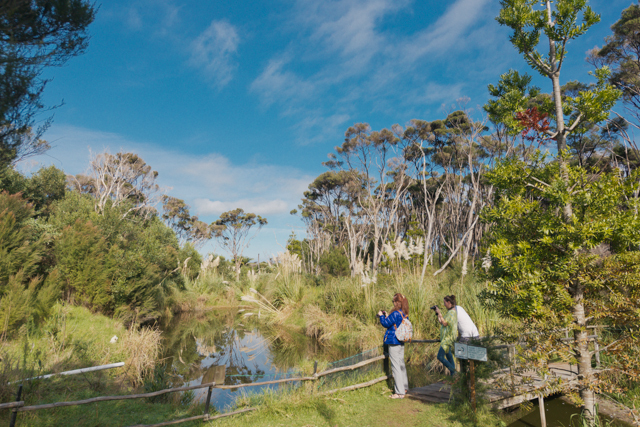 Gumdiggers Park is an ancient buried Kauri forest is situated just 20 minutes north of Kaitaia en route to Cape Reinga and 90 Mile Beach. 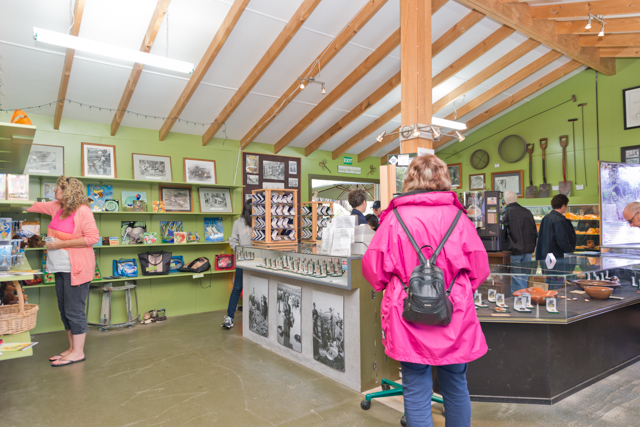 The Gumdiggers Park has been left untouched since these early times and today it has been re-created with a ‘Gumdiggers Village’ and ‘Gum Store’ with replica huts and memorbilia of tools and equipment that was used in this era. 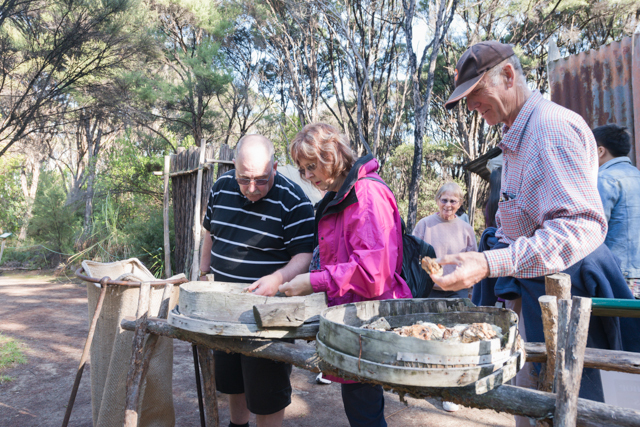 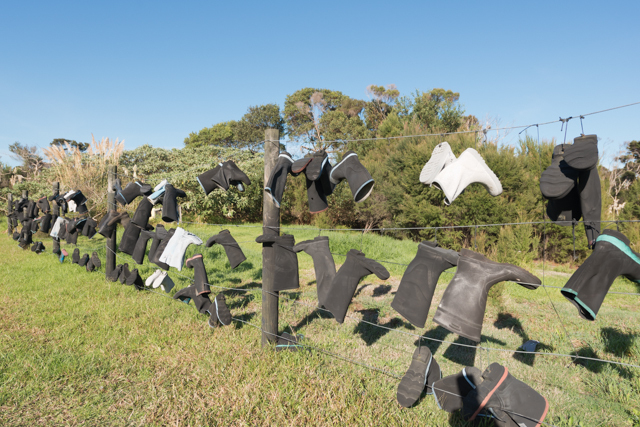 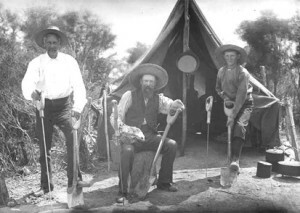 This gives the visitor an insight into how early settlers lived at this time and a fifteen minute video presentation at the village provides an interesting and informative outline about the history of gumdigging, the region as it was and the ancient buried forests of Northland. 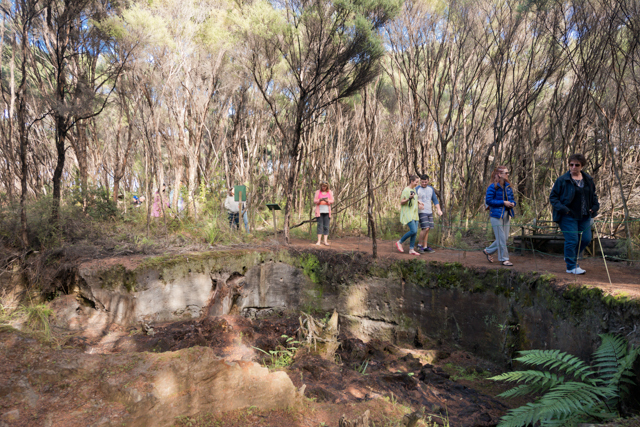 The main track is a thirty minute loop walk through the old gum field which winds its way through native regrowth of mature Manuka forest, giving the visitor an accurate experience of the gumfield itself. 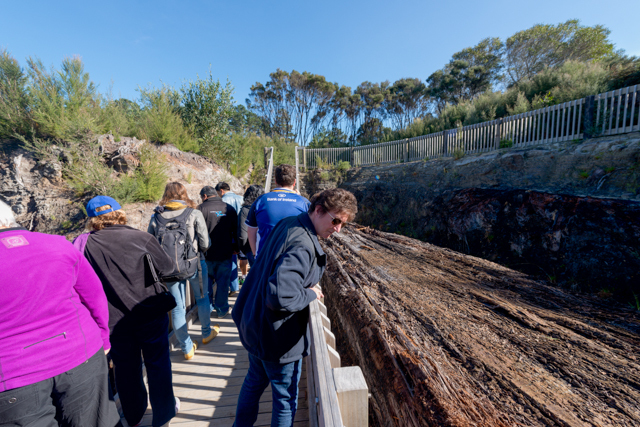 Informative plaques along the trail describe the operation of the gumfield with displays of working equipment and gumdigging relics and the large excavated kauri pits are perfectly preserved. 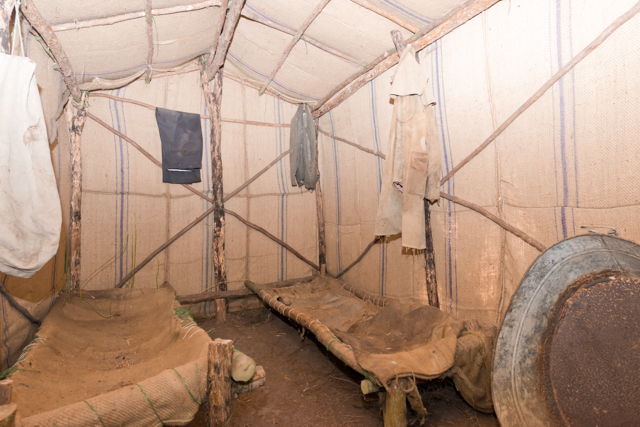 Different types of excavation, some which have tunnels help to give you an insight into the working conditions that were endured at the time and to marvel at the hardy people who worked in this environment. 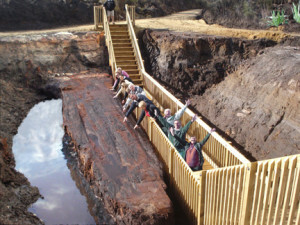 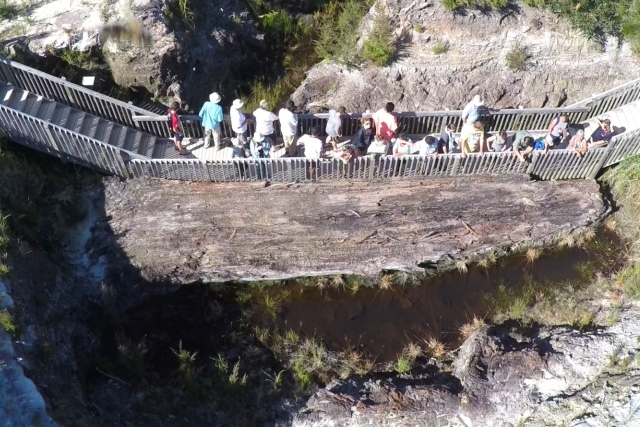 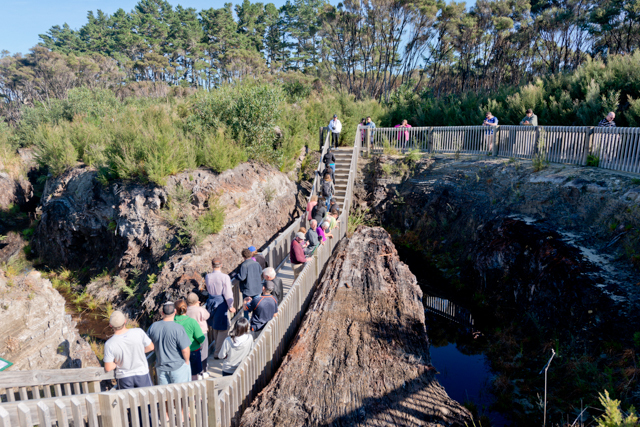 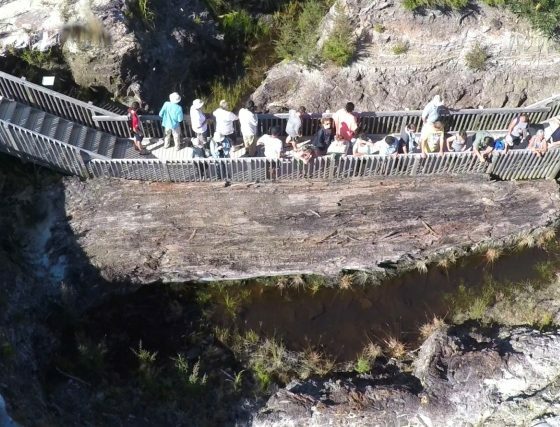 A new Kauri log that had been buried for many years was uncovered whilst excavating in 2011, and a timber walkway has been added alongside this giant log so that you can touch and feel a giant tree that is more than 100,000 years old.